It was another glorious European night for Cristiano Ronaldo, as Real Madrid visited Malmo and beat the Swedish side 2-0. The Portuguese star added another brace to his tally, after scoring his 500th career goal and tying Raúl with 323 goals as Madrid's all-time top scorer in all competitions. It certainly wasn't as easy as it may have looked on paper, but Real Madrid recorded yet another win and most importantly, yet another clean sheet as they finished out 2-0 winners over Malmo. For Cristiano Ronaldo in particular, it was an historic night. Coming through a bit of a goal drought after failing to score in three straight matches, the Portuguese star netted twice to go level with Raúl as Real Madrid's all time leading scorer. The two goals, his 500th and 501st goals in his career, were typical Ronaldo goals. A tidy finish from a 1-on-1 opportunity and a one touch finish inside the box after evading his marker were enough to allow the Merengues to bring the 3 points back home. Rafa Benitez used a changed side today, hoping to rest some key players ahead of the derby clash with Atletico on Sunday. With the likes of Luka Modric and Marcelo getting a rest, it was an opportunity for both Casemiro and Kovacic to impress. Replacing Marcelo was Arbeloa on the left. 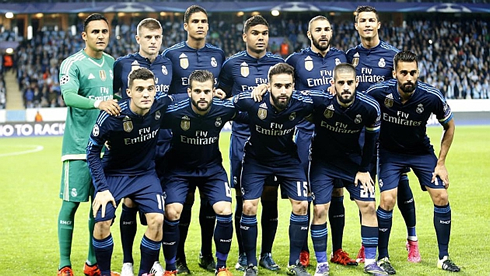 Malmo were quite organized throughout the game, making life fairly difficult for Madrid. In fact, midway through the first half of the game, the Swedish side seemed to be playing out like the matchup against Malaga on the weekend, a game where the Merengues just couldn't find their finishing boots. But alas, the deadlock would be broken in the 29th minute, after some good work from both Kovacic and Isco. 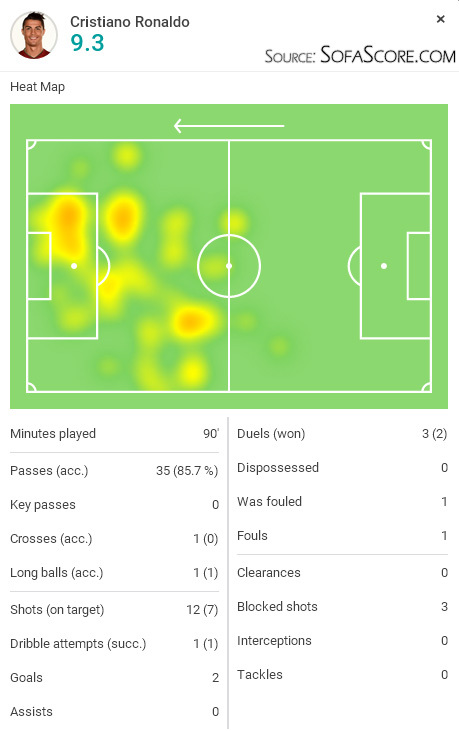 With the ball on the break, the Croatian maestro, who has settled superbly into life in Madrid, played a cross field pass to an open Isco near the box and then looking up, the Spaniard saw Cristiano Ronaldo clean through down the right, allowing the Portuguese forward to finish it neatly into the corner of the net. Real Madrid continued to press in search of a second and Dani Carvajal would come close just before the end of the half, as his volley clattered off the crossbar. The second half would be more of the same, but Malmo began to search for a goal of their own. 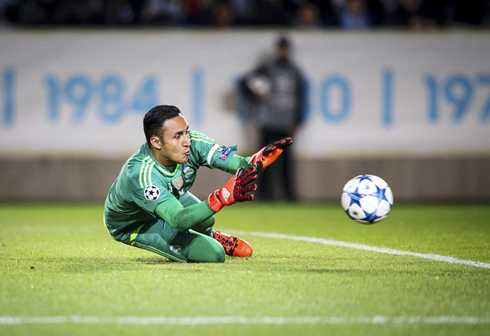 The Swedish side were quite organized in both defense and attack, forcing Keylor Navas to be at his best, as he has been all season, to keep them at bay. In the end, Madrid would seal the victory after some good wing play from substitute Lucas Vasquez. The Spaniard has linked up with Ronaldo quite a few times this season and today it wasn't any different. A dangerous center into the box by the former Castilla man was met by Cristiano, who only needed a toe poke to send the ball into the back of the net. It wasn't the brightest of victories for Madrid, but with multiple starters still out, it was an important and tidy victory in the end. Real Madrid now look forward to the derby against Atletico, with the likes of James Rodríguez, Sergio Ramos and perhaps Gareth Bale all set to return from injury. Cristiano Ronaldo next game will be for Real Madrid on the 4th of October of 2015, against Atletico Madrid. You can watch Juventus live stream, Atletico vs Real Madrid, Celtic vs Fenerbahce, Liverpool vs Sion, AS Monaco vs Tottenham, and PAOK vs Borussia Dortmund, all matches delivered in our football stream game pages.